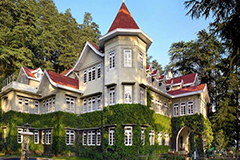 Ridge is located in the core of the fascinating Shimla and offers a large open space. The beautiful region is full of lush vegetation and panoramic scenic beauty. The Ridge joins the Scandal Point and leads to Lakkar Bazaar on the east side. It has become a popular destination for summer festival and local celebrations. 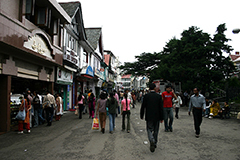 The Mall at Shimla is the shopping centre of the capital city. The Mall Road stretching from Scandal Point to Oberoi Clark Hotel features establishments like restaurants, clubs, banks, bars, post offices and tourist centres. 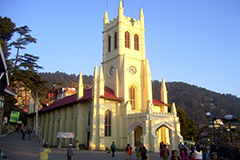 St Mary's Church is located at Kotgarh, situated nearby Shimla. It was constructed in 18th century, exact date varies most records attribute it to 1843 while others claim it was constructed in 1872. However, being in the exquisite natural beauty and near the Himalayan Range makes it a place worthwhile to see. 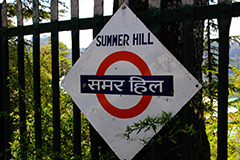 Summer Hills is a small hill located in Shimla. Locally known as Porter's Hill, Summer Hills is part of the seven-hill cluster forming this beautiful hill station.Besides being a tourist destination, it also houses the campus of the prestigious Himachal Pradesh University, established in 1975, which is spread across the green locales of Summer Hills. 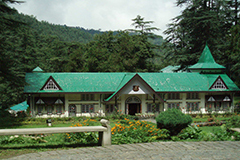 Ellerslie is the Himachal Pradesh Secretariat, which is also known as Raj Bhawan. It hosts assemblies of Vidhan Sabha. The Ellerslie building was designed by Lt. Col. H.E.S. Abbott over hundreds of years ago during the British Empire. 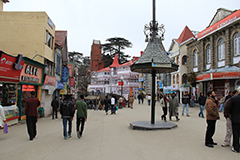 Woodville is among the finest and oldest sites of Shimla built in 1865. Located in the east of the city, the mansion was the honoured residence of the Commander-in-Chief during the British regime. General Sir William Rose Mansfield was the first occupant of the bungalow. The Town Hall is a renovated Municipal Corporation building of Shimla. Built during the British regime in 1910, the Town Hall exhibits architecture reminiscent of the pre-independence era, preserved in its original form. 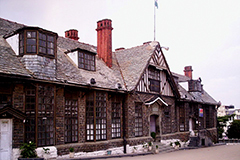 The Shimla State Museum was set up in 1974 to protect and preserve the hill-out and cultural wealth of Himachal Pradesh. Artefacts and art objects in the museum exhibit collections pertaining to art, archaeology and cultural anthropology of Himachal Pradesh. 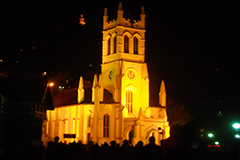 Christ Church at the Ridge is the second oldest church in northern India constructed in 1846-1857. Designed by Colonel J. T. Boileau, the Church features a clock on the church tower that was put up in 1860. The porch along with the church was added in 1873. Annandale, a historic playground, is a favourite spot for cricket and the princely game of polo. Located at a distance of 4 kilometres from the Ridge, the playground and race-course is positioned in a deep wide valley of the suburban village called Kaithu. This village lies in the west region of Shimla. 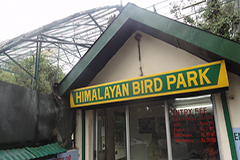 Himalayan Aviary or the Himalayan Bird Park is nearby the Vice regal lodge situated in Shimla at a height of over 2000 meters and a wonderful place for nature lovers. It has natural green pastures filled with rare plants and trees. Besides, it also has a huge collection of bird species like the Peafowl, Pheasants, Himalayan Monal (Himachal Pradesh State bird), Peacock, etc. It is best to visit the park in summer as it is gets snowed during the winter. Scandal Point is a popular tourist site located on the Mall Road, nearby Railway Building. The site is situated at the intersection of road to Ridge and the Mall. Scotland Church, historical Alfa restaurant and the beautiful view of the valleys are the highlighting features of the site. 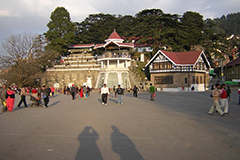 There are plenty of Shimla tourist attractions,things to see in Shimla, and one can choose from range of activities available or things to do in Shimla which can be a walk in the green forests areas, adventure treks. 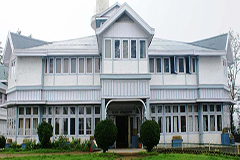 If you are searching for Shimla attractions,sightseeing in Shimla,best places to visit Shimla,things to see in Shimla,tourist places in Shimla by list,tourism point Shimla,tourist attractions near Shimla, places worth visiting Shimla, Shimla holidays, Shimla tourist spots, see Shimla Himanch Pradesh, best attractions in Shimla, tourist attractions in Shimla, local sightseeing in Shimla, attractions in Shimla Himanch Pradesh,places for sightseeing in Shimla,Shimla peak, places of tourist interest in Shimla,what to see in Shimla,sightseeing around Shimla, list of famous tourist spots in Shimla Himanch Pradesh,Shimla sightseeing places your search ends at allseasonsz.com for the likings of all age groups. There are tourist places near by Shimla offering majestic views of Himalayan peaks.Allseasonsz.com Himanch Pradesh best travel agents required for making your Shimla trip memorable. 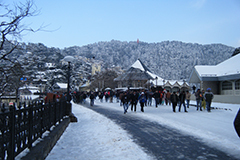 Whether it is about sightseeing around Shimla, Shimla excursions, Shimla places to visit, tourist attractions around Shimla-Allseasonsz.com Himanch Pradesh is convenant to propose amazing Shimla Packages offers and deals for your tour.